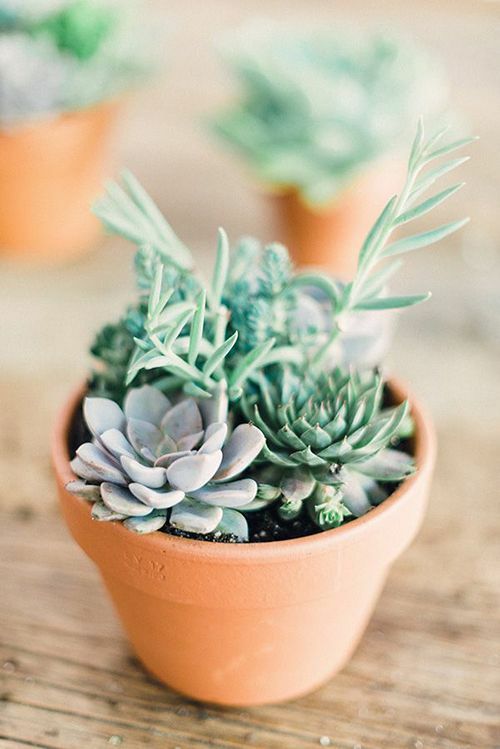 I love succulents all year round but I think they are a superb plant for autumn/winter as they are really hardy and survive with very little care. 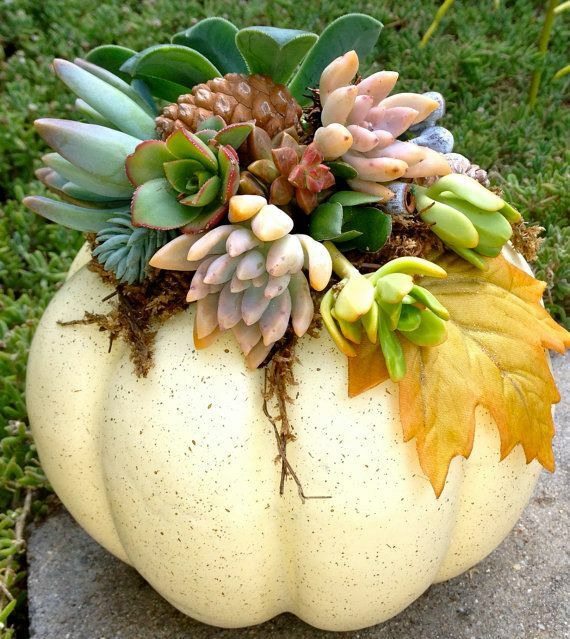 Here are a few lovely ideas for using them for decorating this season. 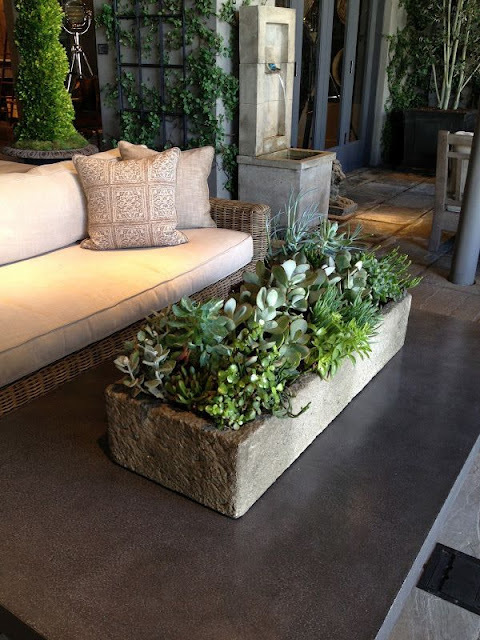 Fill a wooden or concrete tray and use on a coffee table for an autumnal display…. 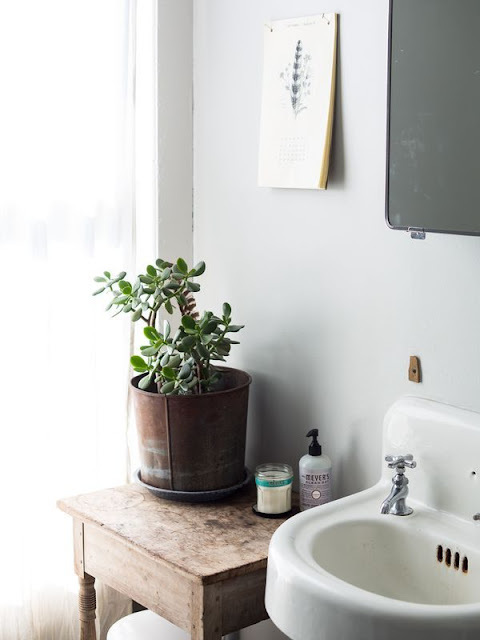 Love this pretty display for the bathroom on a simple wooden side table…. 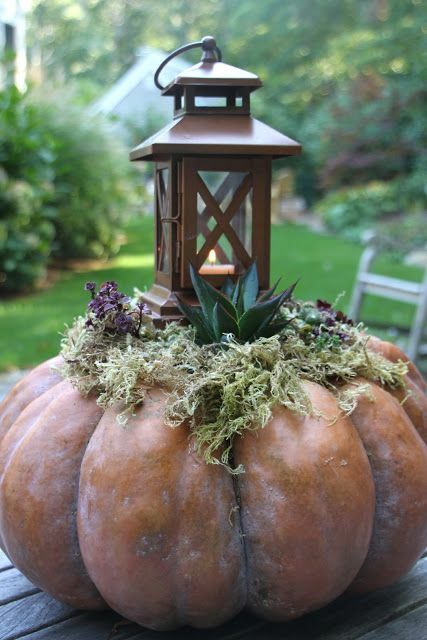 And now that October has arrived here are two great ideas for filling pumpkins- these would look fab in the porch with lanterns for Halloween…. 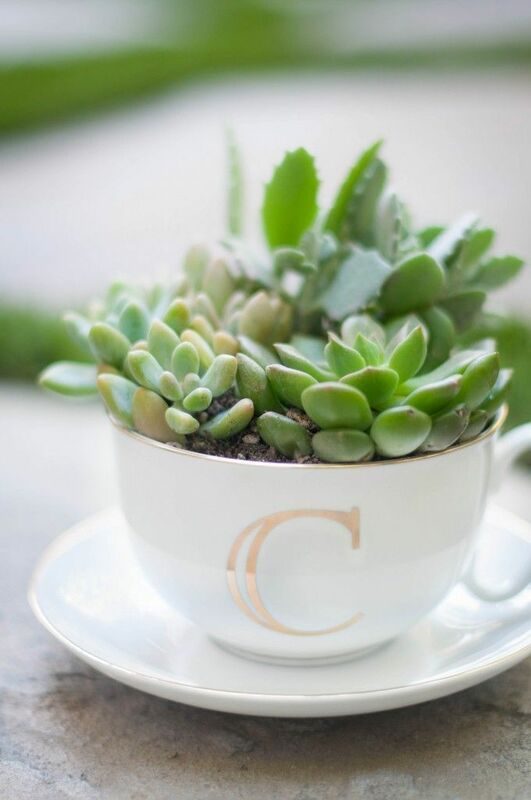 Or plant some in a pretty cup and place on the kitchen windowsill – a lovely gift idea too!